Even though Ecuador is relatively small in size, it offers an array of things to do, thus being a perfect place for a destination wedding. Ecuador is a great place for a destination wedding because it has so many options within its three distinct areas. These areas include “La Costa” or The Coast which is sprawled out with many beautiful beaches on the western side of the country, “El Oriente” or The Jungle, which consists of the Amazon, the largest jungle in the world and “La Sierra” or the Andes Mountain range, which runs north to south through the entire country. Off the mainland are the Galapagos Islands well known for their exotic wild life and natural beauty. So whether you’ve always envisioned your wedding on the beach, in the jungle, or on top of a beautiful mountain, Ecuador has it all. Some Destination Wedding hot spots in Ecuador include The Galapagos Islands, The Andes Mountains (take your pick, there are many to choose from), the beach in Salinas and the Amazon Jungle. The reason these places are so popular, beyond their obvious beauty, is because they all are great honeymoon spots as well. 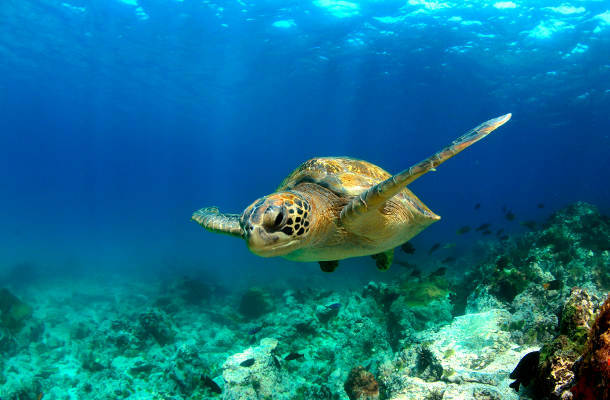 The Galapagos provide so much to do and see, whether swimming with exotic sea life, hiking a volcano, or taking a cruise out to sea, you won’t regret a trip to these beautiful islands. The Andes mountain range is very diverse with so many beautiful and different views around each and every corner. The capital of Ecuador, Quito, sits in the northern part of the country. Quito alone has many things to do, from exploring many of the city’s museums, to the Old Town district, to visiting Otavalo, South America’s largest outdoor market just north of Quito. On the south end of the Ecuadorian Andes range is the city of Cuenca. Known for its artistic feel and colonial architecture, Cuenca is a beautiful city without the big city feel. It is also the outlet to many other hot spots in the Southern Andes, such as Cajas National Park. There are many beach communities in Ecuador, but a very popular area for newlyweds is Salinas. Salinas offers many things to do, especially when it involves the water. It is a popular destination for those wanting to surf or wakeboard, skydive or parasail or do other things such as sunbathing or whale watching. Another factor to consider in comparison to many other beach destinations is that Salinas is very affordable. To the east side of Ecuador we come to the Amazon Jungle. There is not much introduction needed when thinking of visiting any jungle, but especially the Amazon. Depending on where you start your journey, you can take guided tours to this most intriguing part of the world. There are several tour companies to choose from, some ranging from 1-5 day trips, others 1-15 days. If you aren’t quite sure where you should begin, the town of Baños is a great place. Baños itself is called “Gateway to the Amazon” and alone boasts quite the array of outdoor activities. Besides being able to book an Amazon Tour right form Baños, you can also take advantage of the many outdoors sports offered, from zip-lining to horseback riding to exploring caves at night, Baños offers plenty to do for any adventure seeking couple. The coastal area of Ecuador, including the Galapagos Islands experience very tropical weather. In the Mountain region, expect much more mild and cool weather, whereas the Amazon region is hot and humid as you would expect from any rainforest. Ecuador only has two seasons, the wet season and the dry season. In the mountains June to September is the dry season. In the jungle, it rains quite often, but December to March are typically the driest. On the coast, while the dry season is June to September, often it’s much cooler, while in the wet season, January to May you may find better beach days, but rain in the afternoon. The Galapagos Islands however, have decent weather year round. Tourist high season runs from December to January, and June to August. This is important to know because accommodation can cost more and be harder to find, especially if it’s during a festival time. Make sure you plan ahead for any event, even making reservations if possible. The Ecuadorian people are very hospitable and warmly welcome visitors. You can expect to always greet people with a hand shake and friends with a kiss on the cheek. When you have a gathering, everyone is expected to greet each person. This friendly gesture is very important as to not cause any insult. Also, it is quite common to say “Buenos Dias” or Good Morning, or “Buenas Tardes” or Good Afternoon, to everyone you pass by on the street. This is quite common, and actually expected in the smaller mountain region towns. The country as a whole eats a lot of chicken, potatoes and rice. On the coastline, you will find seafood to be a very popular dish. It is famous for its ceviche, which is cold fish, with shrimp, lemon and other seasonings. A common Ecuadorean delicacy is cuy or guinea pig. Especially in the mountains, this delicacy is served with potatoes. Ecuador also has a wealth of delicious fruit, such as mangoes, pineapples, bananas, passion fruit, papayas and more. The major cities, Quito, Guayaquil and Cuenca have several larger restaurants, many of which serve some of these Ecuadorian specialties as well as some International cuisines. Some of the more well-to-do restaurants add 10%-12% service charge to your bill. On the other hand, cheaper restaurants may not include tax or a service charge at all. If you would like to tip the waiter, do so directly, since money left on the table can easily be swiped. Since 2000 the currency for Ecuador has been the US dollar. If you're not coming from the United States, you may want to carry a small amount of dollars with you when you arrive. In all the larger cities, there are plenty of ATMs available as well as banks where you can exchange money if needed. Since many areas don’t accept credit cards, it is highly recommended to carry cash. With this in mind, carry only the amount needed for the day and in as small bills as possible since many places don’t have change for bills bigger than $20. The cost of a wedding in Ecuador varies. Yet, it is possible to have your dream destination wedding for half the price you would pay in the United States. In some cases, the cost of your wedding and honeymoon would still come out to less than a wedding in the States. The following notes are not comprehensive and are intended as a guide only. Before planning your wedding in Ecuador we strongly advise you to contact the Ecuadorian embassy in your home country or your country's embassy in Ecuador to obtain up-to-date legal requirements. A marriage can only be approved if both non-immigrants have a 12-X or 12-IX visa. Your wedding will not be approved if youenter the country with just your passport or T-3 visa. The marriage has to be performed by an Ecuadorian Civil Authority. You must present to Ecuadorian Authorities that you are free to marry in accordance with the laws in the country you currently reside. You must reside in Ecuador for at least 75 days before getting married. A copy of your entry stamp issued by the Ecuadorean Bureau of Immigration in order to prove that you have resided in Ecuador for 75 days before getting married. Valid non-immigrant visa 12-X or 12-IX is needed with both a copy and the original present. Notarized certification of Nationality and marital status. Legal Documents to prove termination of previous marriage, if applicable. One adult witness with a valid ID card is needed with both a copy and the original present for each person. Laws and requirements do change so please visit the Ecuadorian Embassy website for your country before planning your big day. The country of Ecuador is made up of 24 provinces. Ten provinces make up La Sierra: Azuay, Bolivar, Cañar, Carchi, Chimborazo, Cotopaxi, Imbabura, Loja, Pichincha, Tungurahua. Seven provinces make up La Costa: El Oro, Esmeraldas, Guayas, Los Ríos, Manabí, Santa Elena, and Santo Domingo de los Tsáchilas. There are six that make up El Oriente: Morona-Santiago, Napo, Orellana, Pastaza, Sucumbíos, and Zamora-Chinchipe. And the Galapagos Islands makes up their own province. Find out more about the Provinces of Ecuador or browse our Ecuador Wedding Directory to start planning your dream wedding.